Cinco de Mayo is right around the corner, and that means that we need some margarita recipes! I’m always a fan of trying something new, and this tropical margarita is one of my new favorites. Margaritas don’t have to stop with tequila… It’s fun to add other alcohols to experiment with the taste. 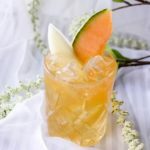 Rum is definitely the original tropical alcohol, and this rum margarita can trick you into thinking you’re on an island somewhere. In a cocktail shaker add lime juice, agave nectar, rum, Jose Cuervo Margarita and lots of ice. 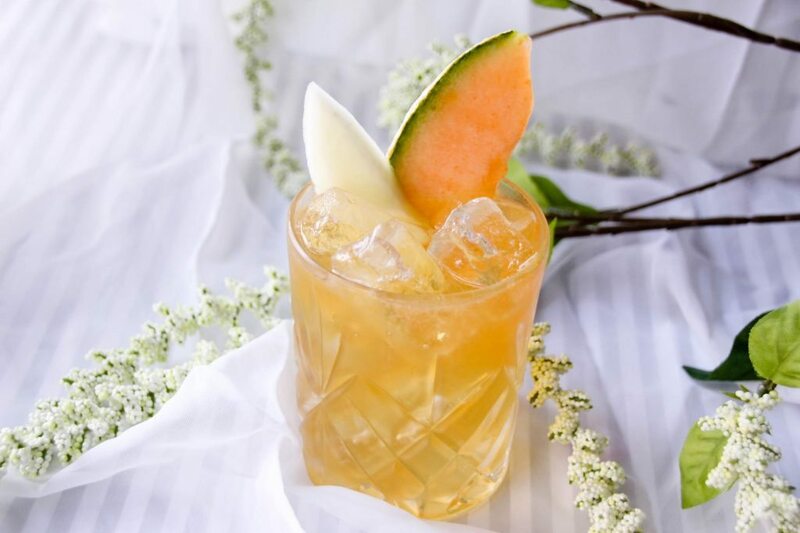 Garnish with papaya and cantaloupe slices. 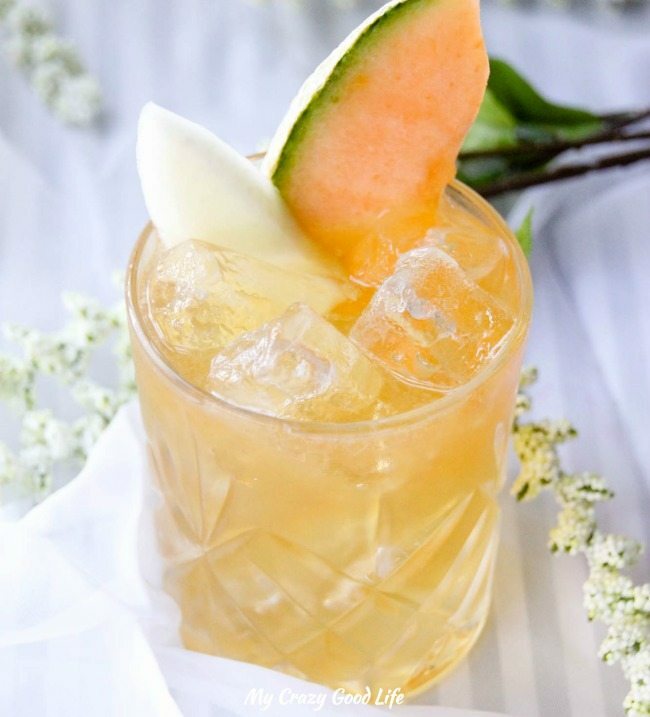 This tropical rum margarita will take you straight to the islands. 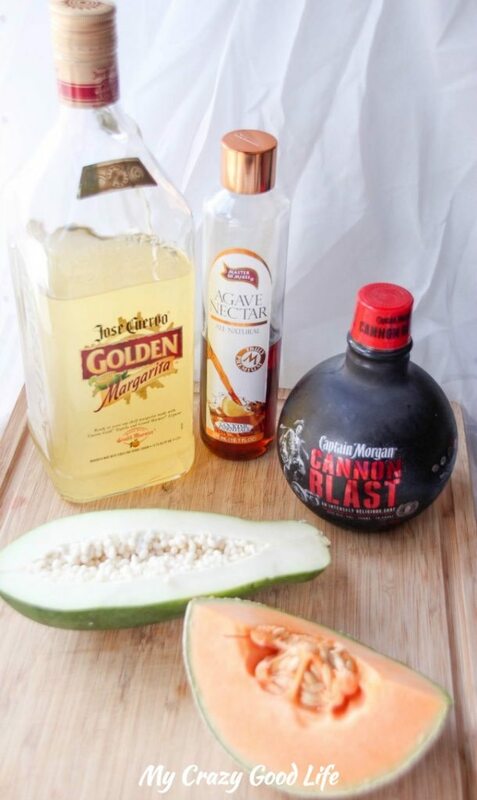 Mouthwatering papaya, sweet cantaloupe, and a splash of rum make the perfect boat drink. I’ll admit, margaritas are my favorite. I love how versatile they are, and I have a blast experimenting with them in my kitchen. I’d love to know your favorite concoctions, too! Previous Post: « All New Walk the Prank TONIGHT! How many calories? containers? any recipes that work with 21 day fix? Looks delicious!